A couple of weeks ago (july 22) the British newspaper Guardian published an interesting article by Philip Horne on Kevin Brownlow and his work on preserving silent movies. 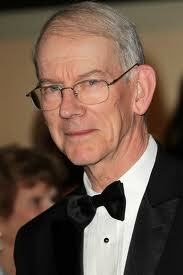 Kevin Brownlow has won a lifetime-achievement Oscar and made superb films. So why isn’t he better known? 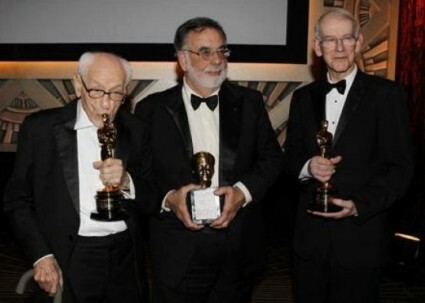 On 13 November last year Kevin Brownlow received an honorary Academy Award for lifetime achievement, alongside Francis Ford Coppola (Jean-Luc Godard didn’t turn up). In his letter of nomination, Martin Scorsese declared that “Mr Brownlow is a giant among film historians and preservationists, known and justifiably respected throughout the world for his multiple achievements: as the author of The Parade’s Gone By, a definitive history of the silent era, and . . . a biography of David Lean . . . and as the director with Andrew Mollo of two absolutely unique fiction films, Winstanley (1975) and It Happened Here (1964) . . . On a broader level, you might say that Mr. Brownlow is film history.” This sums up pretty well the extraordinary record of a remarkable Englishman. So far Brownlow has not been conspicuously honored in Britain; but then, he has always been rousingly undiplomatic about the shortcomings of the British film industry. This wonderfully English figure – a passionate amateur in the best sense, immensely knowledgeable and wry and idealistic – has often been at loggerheads with this country’s movie establishment. Starting as a teenage silent-cinema enthusiast in the 1950s, Brownlow interviewed a dazzling array of film pioneers. 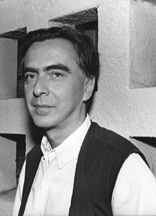 He met and became friends with Abel Gance, director of Napoléon (1927); and also (despite his liberal views) with Leni Riefenstahl. Among the royalty of old Hollywood he met (and in many cases became friendly with) Buster Keaton, Harold Lloyd, Lillian Gish, Mary Pickford, Fay Wray, John Ford, King Vidor, Howard Hawks, Frank Capra, David O Selznick and Fritz Lang. He got to watch Charlie Chaplin directing, despite the strict closed set at Pinewood for The Countess from Hong Kong (1967), because he turned up with Gloria Swanson. The excitement of this fragmented two-reel version of Gance’s five-hour-plus epic led him, while still at school, to seek out other 9.5mm prints of the film. He found one on a stall in Paris. “My first restoration was on Napoléon, trying to put the French version in with the English version, and it was most unsatisfactory.” He has been reconstructing the film ever since, as further footage is unearthed in archives. In 2000 his third major restoration premiered at the Royal Festival Hall to 2,200 people – with a full orchestra and Gance’s original triple-screen spectacle. Alas, this sublime five-and-a-half-hour version hasn’t been shown since 2004. In 1968 Brownlow edited Tony Richardson’s The Charge of the Light Brigade – “the most enjoyable thing I ever worked on” – but wanted to direct again. After several further commercial projects fell through, the Brownlow-Mollo team started another ambitious shoestring epic, Winstanley. It is “a really English film,” Brownlow has said, about the Diggers’ valiant, doomed radical Christian commune at St George’s Hill, Weybridge, after the civil war. Brownlow’s delightful book about the production, Winstanley Warts and All, was published in 2009. Due to the relevance that the event represents for all those researchers of silent cinema I include this invitation for those who want to follow it. Both, the preservers of silent cinema, Kevin Bronlow and Paolo Cherchi Usai and the institution, ICC, are garantee of serious debates. 7.00 pm, the Kenneth Clark Lecture Theatre of the Courtauld Institute of Art, Strand, London WC2, UK, on Wednesday 19th January 2011. This event is part of the IIC initiative Dialogues for the New Century. Fue dentro del marco del Killruddery Silent Film Festival 2009 efectuado durante marzo de este año que Kevin Brownlow dio una entrevista. El documentalista e historiador del cine silente, pionero en este ámbito del quehacer histórico, es entrevistado por Marek Bogacki. Respecto al festival, esta es la tercera ocasión en que se lleva a cabo en esta ciudad irlandesa. Por cierto Brownlow es de orígen irlandés. La primera parte de la entrevista incluye aspectos biográficos y nos platica de cómo empezó a coleccionar películas antiguas. Narra su encuentro con Al Parker director de Black Pirate con Douglas Fairbanks y termina hablando del cine irlandés. La segunda parte está por entero dedicada a la música en el cine mudo y nos platica acerca de la proyección del Acorazado Potemkin en Trafalgar Square con la musicalización y presentación de los Pet Shop Boys. La última y más breve no es más que el epílogo de la entrevista.